Dean Davis selected some of the region's most beloved artists for his "Artist's Palette" exhibit. A former linguist with the U.S. Army, Dean Davis tells stories for a living, but not with words. 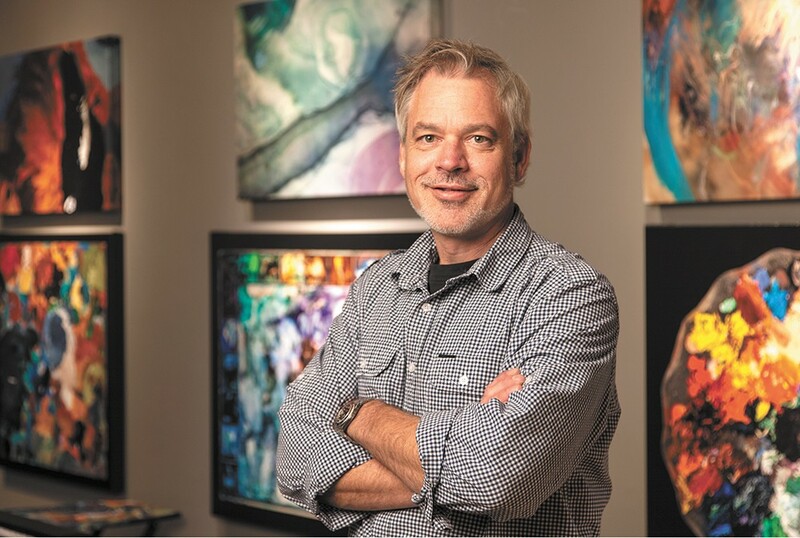 He's a photographer with a client list that includes Itron, Gonzaga University and Cancer Care Northwest, while his personal portfolio features projects including a series on Spokane's iconic architectural interiors. For nearly 20 years, Davis has developed an eye for what makes images resonate. So Davis knew he was onto something when the painting palette of a customer — Davis also runs a fine-art print shop — caught his eye. After photographing the palette, he had an "a-ha" moment, envisioning the artists' work and his photographs of the palettes the artists use. Although Davis was scheduled to exhibit again at Barrister Winery, he says he knew immediately that this project felt a lot bigger than what that space could accommodate. Serendipitously, another venue became available. He was chatting with someone from the Northwest Museum of Arts and Culture (Davis also serves on an arts committee there) who broached the idea of showing at the MAC. After several months and the conclusion of artist Patrick Siler's "Meet Me at the Spot" exhibition, Davis was offered an opportunity to guest curate what would eventually become "The Artist's Palette: Through the Lens of Dean Davis." Longtime printing customer and friend Melissa Cole, as well as The Art Spirit Gallery's Steve Gibbs, pointed Davis toward several additional artists. In turn, they recommended others, who recommended others. Two dozen artists, mostly painters, all with strong ties to the area, provided palettes ranging from the traditional (Victoria Brace's kidney-shaped board) to the unusual (Tim Lord's drywall mudding plate) to the whimsical (John Buck's wooden sculpture of a palette). 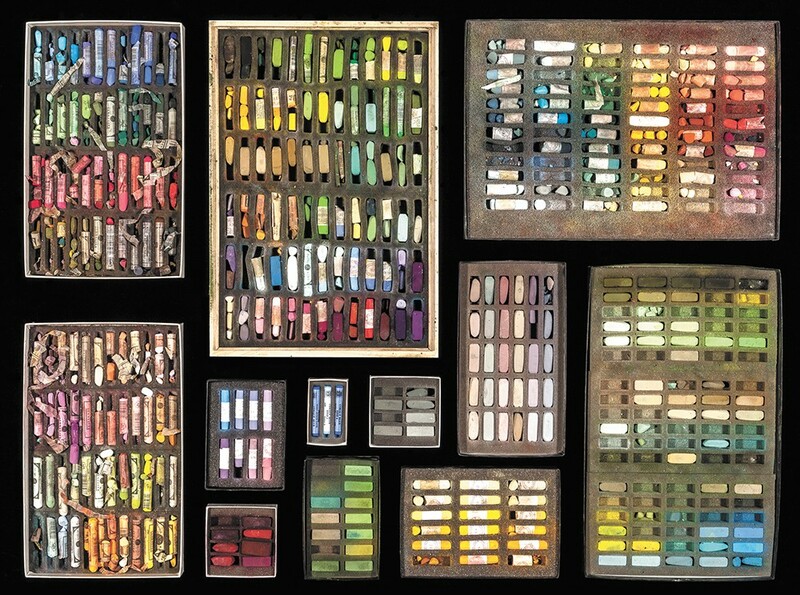 Photographed against black velvet, each palette dramatically underscores artists' varied approaches. A classical progression of color families and earth tones for plein air painter Kyle Paliotto and Prix de West award-winner George Carlson. A cacophony of color in both Seattle's witty iconoclastic Jere Smith and local Ric Gendron. 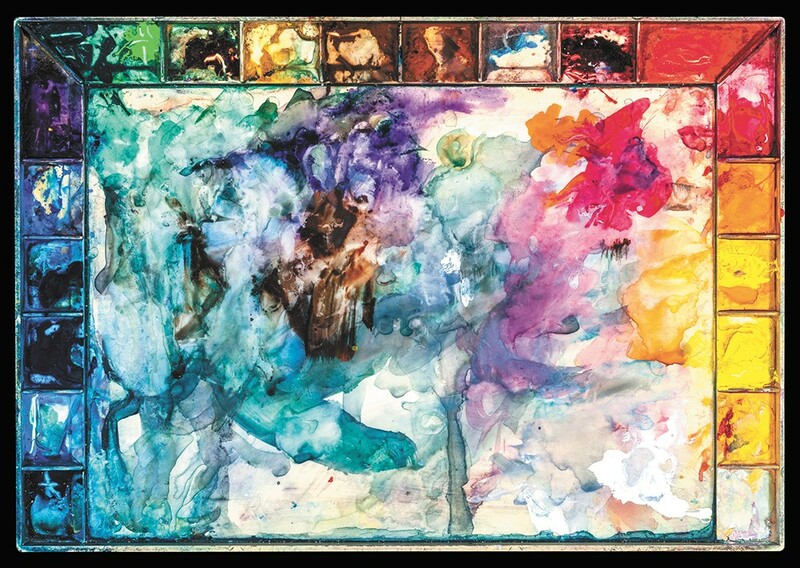 One palette, Stan Miller's, is even exhibited alongside his enigmatic watercolor, offering viewers a stronger contextual pairing; one can see how the color palette relates to the artwork. Unfortunately, absent knowing each artist or having artwork adjacent to the palettes each represents, some viewers may be left wondering — for example — why Tim Ely's tools are elemental to his meticulous illustrations and books. Or why Kay O'Rourke's palette of swirling color is so apropos to her expressive narratives. The exhibition layout, says Davis, is one of many details he debated, ultimately keeping artwork and palette images separate so each would stand on their own. As for continuing to connect viewers with the region's dynamic community of artists, Davis is working with the MAC on programming, including upcoming "artist conversations" and other educational events.